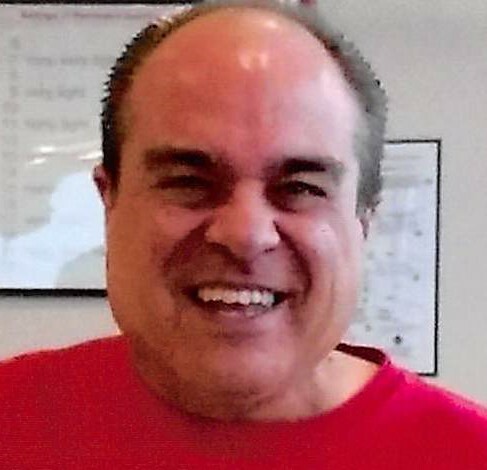 Greg E. Donnell, 56 of Fort Wayne passed away at home on March 16, 2019. He was born on June 19, 1962 in Hicksville. He was a 1980 graduate of Antwerp High School and worked at Enterprise Rental Car. Greg will be sadly missed by his father, Jim; son, Greg Bell; brother, Scott; nieces & nephew, Kelli (Pat) Sidey, Haylee & Scott; special friend, Sherry Fiske and her children, Zachary & Travis Sanchez & Shane Hull. Greg was preceded in death by his mother, Teresa (Reynolds) and sister, Lorrie Baker. Greg's family will receive friends on Saturday, 9 am to NOON at Dooley Funeral Home, 202 W. River Street, Antwerp, Ohio to share stories and fond memories. He will be laid to rest privately at Maumee Cemetery. Memorials are to Dooley Funeral Home, PO Box 452, Antwerp 45813. All who knew Greg Donnell would agree that he was truly a man of great integrity. Driven and hardworking, he had a zest for life. Greg had so much of which to be proud, but he was humble in everything he set out to accomplish. A loving son, brother, and uncle, he held a strong love for his family. He savored their special times together and looked forward to sharing in their every success over the years. Generous beyond measure, there simply wasn’t anything he wouldn’t do for someone in need. Gone too soon, he leaves behind a wonderful collection of memories that will surely live on in the hearts of his many special friends and loved ones. The 1960s were characterized by great social changes. Many Americans believed they were standing at the dawn of a golden age. At the beginning of this promising decade in our nation’s history, folk music was evolving thanks to young artists like Bob Dylan and the birth of The Beach Boys grew in popularity. Meanwhile, in England, The Beatles were exploding the music industry. Born June 19, 1962, in Hicksville, Ohio, Greg was sandwiched between his older sister, Lorrie, and younger brother, Scott. His birth gave his parents much hope and happiness during an era known for its optimism. Growing up in Antwerp, Greg lived a typical childhood of the times. He was especially close with his siblings and looked up to his big sister, Lorrie. The two of them were most content when they were enjoying a warm meal from their Grandma Regina who was known to make the most delicious dinners. As a family, they enjoyed traveling together. They toured the Great Smoky Mountains as well as made it over the Mackinac Bridge. Many of their memories from those years were traveling to and from Minnesota to visit their Aunt Judy. A special highlight was taking in a professional Cincinnati Reds baseball game. Greg was born with a natural ability for athletics. He enjoyed playing football during his junior high years and has loved the sport ever since! Faithful to his birthplace, he proudly cheered for his Ohio State Buckeyes season after season! Graduating with the Class of 1980 from Antwerp High School, Greg entered the world of work. His easy-going personality made him a friend to many and a stranger to none. He landed at Enterprise Rental Car where he remained happily employed for many years and was well liked by his co-workers. Always someone who enjoyed keeping busy, Greg had many unique interests over the years. He was an avid stamp collector and enjoyed organizing them and researching their importance. Season after season, he also continued his strong interest in everything football. Sundays were a sacred time for watching or listening to games and he was especially thrilled this year when the Buckeyes won their championship and his favorite professional team, the LA Rams went to Superbowl LIII at the Mercedes-Benz stadium in Atlanta! Although they lost to the New England Patriots, he could not be more proud! When it came to music, Greg savored the music of his twenties and still loved to jam to ACDC. Above all else, Greg enjoyed being around people. People were his passion. Anytime he was surrounded by his family or friends, he was most content. He enjoyed grilling out with his close friend, Ryan Potts and his neighbor, Tim. Over the years he enjoyed hanging out with Sherry’s kids. He was especially patient with Zachary, helping him with homework years ago. Zach returned the favor, helping Greg with yardwork and other things he was unable to do himself. He wanted nothing more than the happiness and success of others. Greg leaves behind a rich legacy of living life to the fullest. Described as hilarious as well as kind-hearted, there is no doubt that he will be deeply missed by all who knew and loved him. May his warm collection of memories touch their hearts forever.